This ancient organization offers black scholarships and internships to African American students. This fund donates thousands every year in black scholarships to those who attend historically black colleges. This organization offers black scholarships to high school students seeking to attend any college. Provides awards to outstanding minority students to encourage their selection of accounting as a major and their ultimate entry into the profession. Created to fill a void in education funding. Its mission is to provide financial support to individuals and organizations engaged in lifelong learning. Assists minority students in completing their doctorates by concentrating not only on the recruitment of minorities, but also on the retention of these groups within the profession. Provides opportunities for Caribbean nationals to pursue studies in the areas of tourism, hospitality and language training. 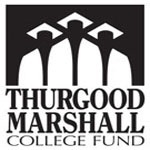 An endowment fund which provides scholarships to African-American undergraduate students enrolled in scientific or technical fields of study at Historically Black Colleges and Universities (HBCUs). This essay contest takes its title from a 1951 poem by Langston Hughes: What Happens to a Dream Deferred? The poem helped propel the civil rights movement in the United States. Provides college scholarships in the amount of $2,000 to high school seniors that have high GPAs, are active in the community, and have a financial need. A non-profit organization whose mission is to create career opportunities in the media industry for minority youth through a program that focuses on scholastic achievement, direct work experience and professional development. Girls Going Places, Entrepreneurship Award Program is Guardian's annual initiative designed to reward the enterprising spirits of girls ages 12 to 18. 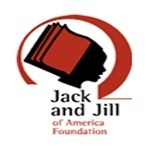 $500 scholarship available to women and girls who have a passion for writing. Offers two scholarship including the Unpublished Writer's Award and Aspiring Writers Educational Scholarship. $2,000 award for a student who attends a black college who's interested in studying in another country through an exchange program. Supports and strengthens Black colleges as a major resource of African-American engineering graduates. A contest open to all youth between the ages of 14 and 22. Must write a story featuring a character with HIV. Established by novelist Marita Golden to honor excellence in fiction writing by students of African descent enrolled full time as an undergraduate or graduate student in any college or university in the United States. 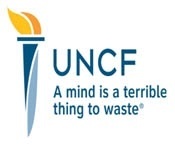 This scholarship is for African American high school seniors with a minimum grade point average of 3.0 who will be pursuing a Bachelor's degree at any accredited post-secondary institution in the United States. A non-profit organization dedicated to raising funds for, and awarding scholarships to, low-income women, ages 35 and older. Awards scholarships to cosmetology students and college-bound high school students. Dedicated to providing scholarships and promoting entrepreneurship among the best and brightest African-American college students. The purpose of the scholarship is to recognize achievement in scholastics, leadership potential and initiative among minority students. The award-winning Miller Urban Entrepreneurs Series was launched to respond to the needs of adults ages 21 and older seeking to achieve economic empowerment through entrepreneurship. Award for minority students who are U.S. citiziens and are interested in pursuing a career as a dentist. Has provided more than $7.1 million in scholarship funds to deserving students preparing to enter various business professions. Strengthens and supports Black student leaders at historically black colleges and universities by fostering and preserving positive relationships through scholarships and mentoring opportunities. Scholarship essay contest presented by rapper and Hip-Hop artist Nelly, who owns an energy drink called Pimp Juice. Students must submit an original work of fiction that is between 100 and 240 typewritten pages and is appropriate for an audience of children ages 8 to 12. Designed to support the training of talented students entering careers in physiology by providing predoctoral fellowships for underrepresented students. Administers more than 300 scholarship, fellowship and institutional grants that support students at the undergraduate, graduate and doctoral levels. The scholarships are designed to alleviate the financial burdens associated with higher education, permitting the winners to devote more time both to pursuing their academic goals and advancing their leadership initiatives. The ASRT Education and Research Foundation Royce Osborn Minority Student Scholarship program provides scholarships for academically out-standing, minority students attending an entry-level radiologic sciences program. Encourages college students and young college professors around the world to study the meaning and significance of economic and personal liberty. For graduate study in librarianship leading to a master's degree at a recognized school of library or information science. Talbots Women's Scholarship Fund, a program of the Talbots Charitable Foundation, will award $100,000 in scholarships to women determined to finally get that college degree. The premier organization in Black Higher Education that develops and prepares a new generation of leaders by providing resources, opportunities and advocacy to Public Historically Black Colleges & Universities, students and alumni. The Tri Delta Foundation offers undergraduate and graduate scholarships to collegians and alumnae each year. Based on academic excellence and need, is open to both undergraduate and graduate students who are members of minority groups. Commitment to the academic success of minority students and to the cultivation and recruitment of qualified minority employees in technical fields. The award: $10,000 for 10 to 20 students. It's renewable. Academic merit, leadership, community service, all fields. The deadline is usually in January. This is one of most prestigious scholarships, and it's very, very competitive. Details at site. JRF annually awards selected applicants four-year scholarships of up to $7,200 per year to attend a four-year accredited college or university of their choice. In addition, the Foundation provides access to valuable workshops, seminars, mentoring and internship opportunities. For more information, please visit our website.www.jackierobinson.org. The award: $4,000 or higher (to full tuition). Number of winners: at least 600. Academic merit, leadership, community service, all fields. Deadline: Feb. 1. Details at site. usually in February. Go to the Website for details, or contact aid officials at your college. students a year. Nomination material for 2002-2003 will be available November, 2001. Go to Website for details. Deadline: March 15. Students looking to enroll at an HBCU must enroll in the Army ROTC. Award amounts to full tuition. Many awards. Must have minimum 920 on SAT or 19 ACT score. Deadline is November 15. Details at Website. For undergraduates studying accounting at a U.S. college with at least 30 credits completed. Awards up to $5,000 with about 300 winners annually. Deadline is in July. Go to Website for GPA requirements and details. Award amount: $2,000 and renewable. Several scholarships granted. This is for science or engineering students at HBCUs. Deadline is June 15. Go to Website for details. This is a major competition with over 250 awards going to "scholars" with academic, leadership, and talent qualities. The award amount is from $4,000 to $20,000. You can apply on-line. The deadline is October 31. Go to the site for details. that can include recommendations (academics), art (slides), dance (tapes), photographs, or other materials that point to talent and achievement in all areas. The awards are for a minimum of one year, and over 100 are granted. Applications can be submitted at any time. The selection process is ongoing. Go to the Website for details. must be created. The awards can reach as high as $30,000 over the years. Generally, about 80 students are selected. The deadline is February 1. Go to Website for details. These awards are granted to high school or college students (17, 18 years of age) who show talent in dance, voice, music, art, photography, jazz, visual arts, writing, or other creative areas. You must audition or submit a portfolio or tape. The award is to be used for freshman year in college. Awards from $100 to $3,000. Deadline is June 1, or April 1 (for registration in specific regions).